Updates on the DCDC18 programme will be published here. Information on W1. All Together Now? – What’s the opportunity for a combined cultural offer to Higher Education Institutions? can be found on page 22 in the hard copy programme. We regret to inform delegates that Lae’l Hughes-Watkins’s keynote presentation on Wednesday 21 November has been cancelled. We are grateful to Nick Barratt, Senate House Librarian, who will be stepping into the Wednesday morning keynote slot with a presentation on The value of heritage collections in the twenty-first century. — What went well, want didn’t, what can we do better? Cadbury Research Library, University of Birmingham, is presenting the exhibition ‘Mughal Miniatures: Power, Piety & Poetry’ based on Mughal manuscripts and miniature paintings from the Mingana Collection. The exhibition will run from July to December 2018 at the university campus, followed by another exhibition at the Barber Institute of Fine Arts in the summer of 2019. These exhibitions were inspired by the reactions of visitors from local South Asian community and the curator’s knowledge of which aspects of the collection will tap into ‘hidden’ collective cultural memories about the owners of these items. Neelam Hussain will discuss the inspiration behind the exhibitions and the reception from visitors. The workshop will include an opportunity to view the exhibition. Led by Jon Sleigh, Learning Officer (Arts Council Collection). The workshop will look at how Birmingham Museums Trust dramatically increased representation for over 75’s at its exhibitions. The workshop will focus on action research with arts engagement combining livestreaming from care homes to galleries and object handling. Attendees will be introduced to a new Learning model of engagement with audiences over 75 sharing case studies and a live demonstration of online learning. We will explore how outreach participation, and how it develops onsite gallery visits, plus the creation of artworks for reminiscence and well-being. 15:00 - 17:00 Tour :: A Paranoid Revolution - What does a musical heritage tour look (sound) like? In this workshop you will be transported through Birmingham to visit some of the sites associated with the city’s rich and diverse musical heritage and culture accompanied by an audio and visual soundtrack. We’ll visit the childhood home of Ozzy Osbourne, the basement flat where Steel Pulse first rehearsed, a legendary recording studio and travel down the Soho Rd, the home of Bhangra. The tour will show how communities live, work and play next to each other and how this has been reflected in the music that has emanated from the city. We’ll also highlight some of the issues faced by community historians and archivists when the spaces and places associated with cultural activities no longer exist. Please note that this tour may take longer than detailed, dependant on traffic conditions on the day. Therer is a high step to access the tour van. The pre-conference reception is an opportunity for you to get to know your fellow delegates before the conference. Join us at the Ikon Gallery, Birmingham’s internationally acclaimed contemporary arts venue, for drinks, canapés, and good company. This year’s reception will feature a short presentation on a new Digitisation Networking Group initiative led by Jisc, The National Archives and Research Libraries UK, and involving other key stakeholder groups. This will be followed by a networking activity based on the aims and vision of the project, during which you will meet colleagues from multiple different sectors. Jane leads the BBC’s work on partnerships with the UK cultural and knowledge sectors including most recently for Civilisations (BBC 2) and World War One on the BBC. 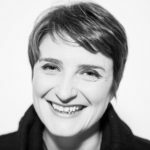 Jane’s past roles include programme maker, journalist, editor, senior manager and commissioner for factual programmes at Radio 4. She is a Trustee of Libraries Connected, a member of the Leadership for Libraries Taskforce and of the Learning and Participation Committee of the Royal Opera House. Jane is the author of the King’s Cultural Enquiry into partnerships ‘The Art of Partnering’. Presentation: Anniversaries: the milestones of history? One hundred years ago over just 12 months, some women got the right to vote for the first time, the Armistice marked the close of World War One, the RAF was formed and a flu pandemic swept across the world. A century on, we have been exploring the political, cultural and social shifts from events that have shaped the world we know today. But why are anniversaries such powerful landmarks for reflection? Are they too dominant in setting the agenda? And how can archives and collections tell other stories in the 21st Century? This session will be accompanied by an onsite BBC display of innovative uses of archive. 1:1 surgery sessions, offering delegates a timed opportunity to pitch potential projects and share ideas for enhancing and strengthening collections across the country and beyond. 1:1 sessions need to be pre-booked. Nathan “Mudyi” Sentance is a Wiradjuri man from the Mowgee, Murrumbidya clan, who grew up on Darkinjung Country, NSW. 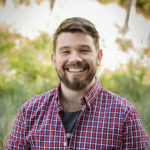 Nathan works to ensure that First Nations stories conveyed by cultural and memory institutions, such as galleries, libraries, archives and museums, are being told and controlled by First Nations people. Presentation: Who drives the conversation? the destruction, exclusion and misremembering of First Nations culture and history. As an Independent Research Organisation (IRO), research sits at the heart of all we do at The National Archives. Only by conducting research, both in our own right and with academic partners, will we be able to reach our ambition to be a digital archive by instinct and design, unlock the richness of our collections, and champion the impact of archives on communities and individuals. During the breakfast briefing, Valerie Johnson, Director of Research and Collections, will introduce five new priority research areas, each underpinned by research challenges and questions. Join us to hear about how these priorities can support the work of the wider archives sector, forge new collaborative partnerships, and how you can get involved. Lae’l Hughes-Watkins is the University Archivist at Kent State, where she administers the largest collection on the Kent State shootings. Her research focuses on outreach to marginalised communities, documenting student activism within disenfranchised populations, and utilising narratives of oppressed voices within the curricula of post-secondary education spaces. Her most recent article is “Moving Toward a Reparative Archive: A Roadmap for a Holistic Approach to Disrupting Homogenous Histories in Academic Repositories and Creating Inclusive Spaces for Marginalized Voices,” in the Journal of Contemporary Archival Studies, which introduces the concept of a reparative archive— a roadmap for how academic repositories can begin to repair their holdings and develop a holistic approach to disrupting homogeneous histories through acquisition, advocacy, and utilisation of collections that centre voices of the oppressed and challenges the history of predominantly white academic institution. Lae’l is the Founder of Project STAND, a national consortium of nearly forty colleges and universities working to create a digitally centralised location for access to primary resources illuminating the narratives of student activists and organisations from traditionally underrepresented communities. Project STAND was recently awarded a National Leadership grant for $92,000 by the Institute of Museums and Libraries to host symposia throughout the U.S that will provide a platform to share data on the archival resources documenting acts of student dissent centring marginalised student populations and listen to the narratives of past and present student leaders as information professionals strive to ethically document their stories. 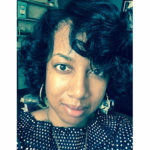 Lae’l is also the recipient of the Academic Research Libraries Leadership and Career Development Program fellowship and Society of Ohio Archivist Merit Award for her leadership in Project STAND. Arts Council England is the national development body for arts, museums and libraries across England, working to enrich people’s lives. We host a variety of funding and award programmes which provide strategic support to collection-holding organisations, and which are aimed at improving the care, understanding and enjoyment of publicly owned collections. Join them for a networking lunch to hear more about their priorities for collections initiatives, investment plans for our flagship schemes and an update on their Mendoza Review Action Plan for museums. 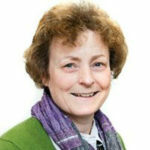 Jo Fox is Professor of Modern History, Institute of Historical Research, School of Advanced Study, University of London. She specialises in the history of propaganda and psychological warfare in the 20th and 21st centuries. She is the first female Director of the Institute of Historical Research. Founded in 1921, the Institute of Historical Research’s mission is to train the next generation of historians, to produce and facilitate ambitious and innovative historical research, and to foster public understanding of history and its social, cultural and economic benefits. What is ‘fake news’? Undoubtedly, the phenomenon has become one of the defining characteristics of our recent past – in 2016, Oxford Dictionaries declared ‘post-truth’ to be its ‘word of the year’ – but what might its historical significance be 100 years from now? If, as Matthew Norman, writing in the Independent in November 2016, suggests, we are now ‘free to choose our own truth’, released from the ‘tyranny’ of expertise and objective reality’, what becomes of a discipline, such as history, underpinned by evidence and ‘fact’? Are there creative ways that historians might use ‘fake news’ as evidence of popular mentalities, allowing for a deeper understanding of human behaviours in a complex world? And, if ‘fake news’ is critical historical evidence, how should it be preserved and curated? Conference delegates are warmly invited to join us at the conference dinner, to be held at the Birmingham Museum & Art Gallery (BMAG), located in the heart of Birmingham City Centre. The dinner will feature a three-course meal with wine, and is an excellent opportunity for you to connect with fellow delegates and reflect on the day’s discussions.